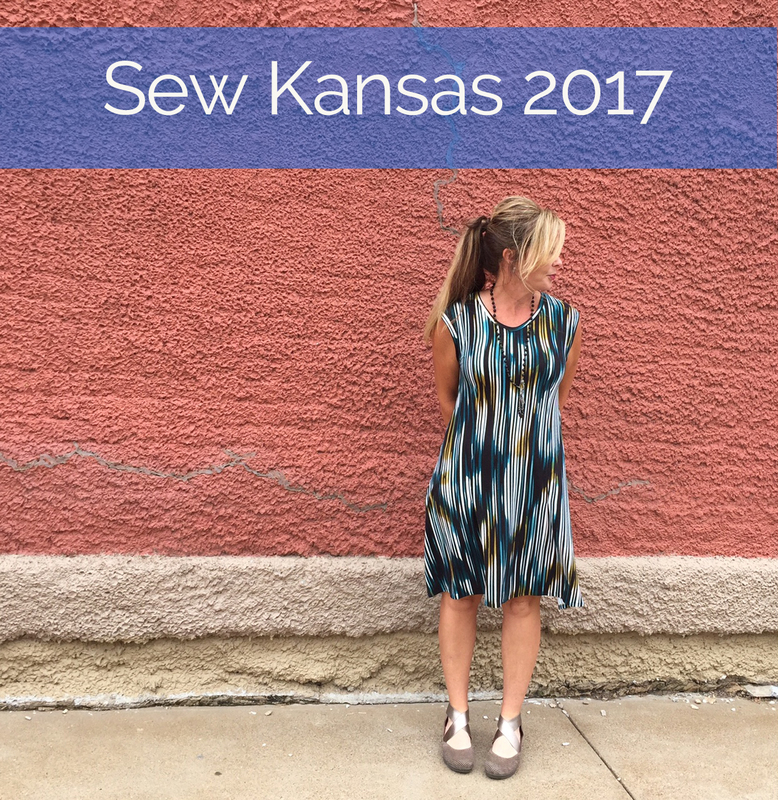 It is hard to believe that Sew Kansas has ended for 2017. We had our last two groups visit and once again they had a wonderful time sewing and shopping. If you haven't been to a Sew Kansas event, you are missing out. For three full days you have the undivided attention of Linda, Kathy, Erin, Betsy and Pat. We are ready to help you with anything you need. In your downtime, you have complete access to our full fabric selection. If you choose to spend three days petting fabric instead of sewing, well, just know that we don't judge. 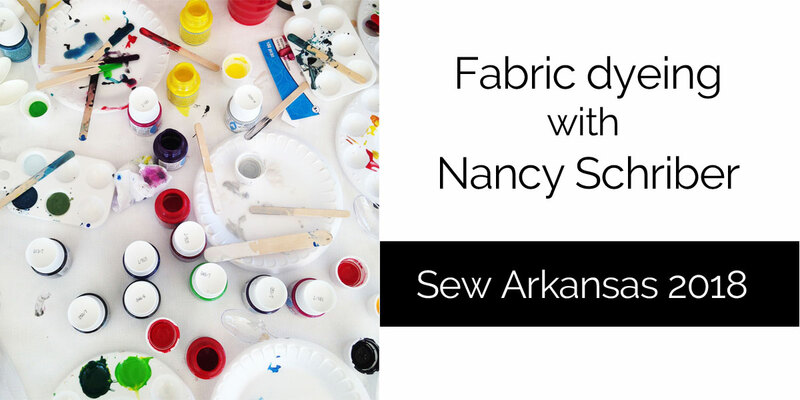 ​We would like to give a big thanks to all of our Sew Kansas attendees. We had a great time with you and look forward to seeing you again soon. If you want to join us for a Sew Kansas next year, check out the dates on our events page. ​For some, July in Kansas may not be something to look forward too – after all, it tends to be quite warm. However, we always look forward to July, because that is summer Sew Kansas time! This year we hosted two groups of sewists who traveled to Topeka from near and far to join us for three days of stitching, pattern fitting, learning new techniques, and well, playing with fabric, prints, buttons and everything that makes sewing fun. Let's face it, this is just summer camp for people who love to sew. Last weekend Linda traveled to Mulberry Silks to teach a workshop. Mulberry Silks & Fine Fabrics is an independent fabric store and sewing studio in North Carolina. This beautiful store, which is located in an old mill in downtown Carrboro, has been in business for 35 years, which is certainly a milestone in this day and age. Linda spent two days there working with sewists on fitting and wardrobe inspiration, and came back with inspiration of her own. We love seeing how our customers make our patterns, it always gives us a fresh perspective on our designs. 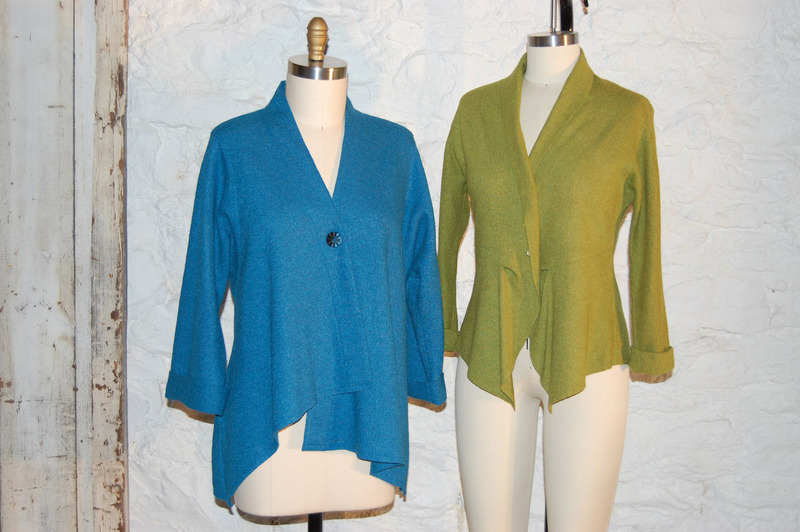 We want to share with you some of the gorgeous garments Linda saw during the workshop, in hopes that it will inspire you as well! 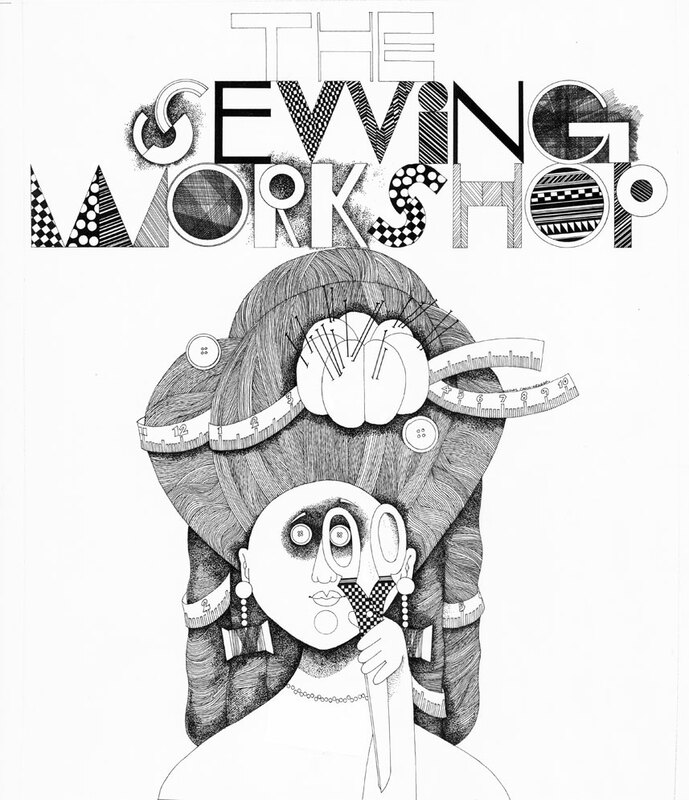 Another week, another great workshop! 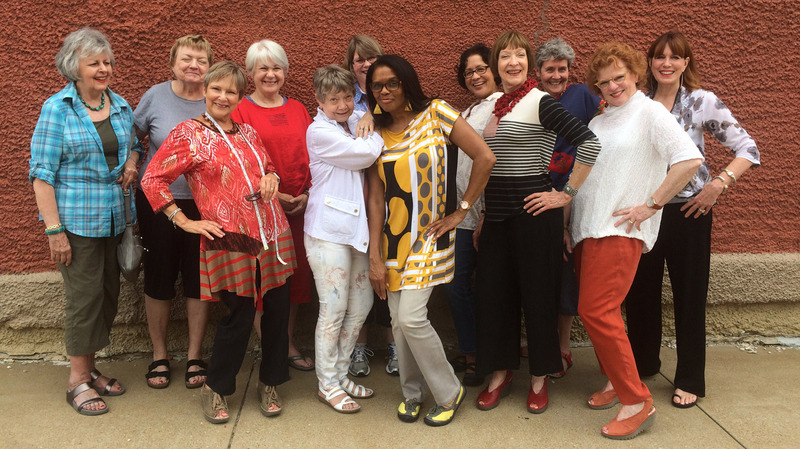 Round One of Sew Kansas July is just wrapping up. I think everyone had a good time! 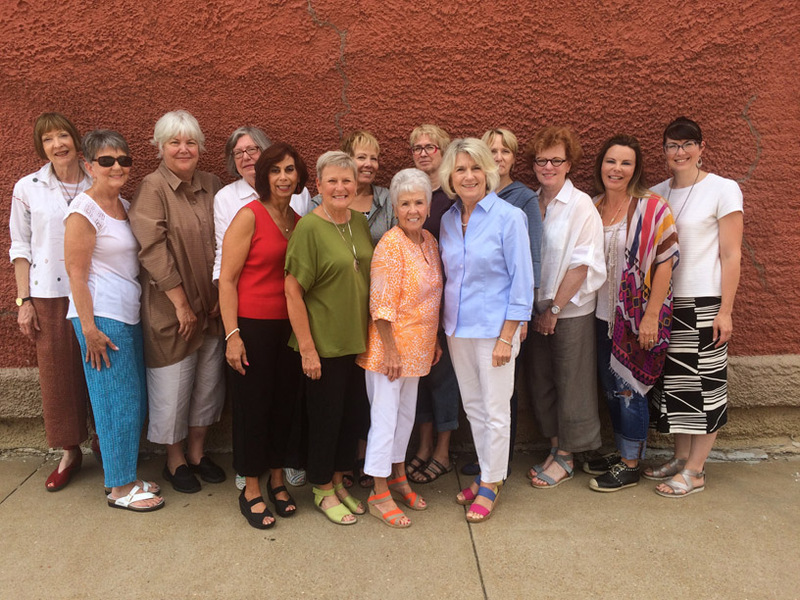 Our 2016 Sew Arkansas retreat is happening now in beautiful Eureka Springs. These three ladies are wearing unique versions of the Peony Vest. Read the full post to enjoy more pictures from the event. Join Linda Lee in Minneapolis! Sew Beautiful things... at the Original Sewing & Quilt Expo Pre-Treat. After a week in recovery mode, I think the dust has settled from our exciting trip to Puyallup, WA for the 2012 Sewing & Stitchery Expo! In the past three days of the Sewing & Stitchery Expo we've talked to so many talented sewists. We love seeing friendly faces & new - all happy to show off their creations. Here's what we saw. The Sew Expo has Begun! Whenver we have a Sewing Retreat or Teacher Training Workshop, our patterns are on display. It's like a fashion show. Linda & Kathy are headed to the expo. I love this Animal Print L2 Bag! Why make a bag that doesn't stand out in the crowd? I'm telling you, the look of the Origami Skirt is coming back! First the inspiration from Fashion Week (see A little dream, a little fashion post) and now this beautiful Blue Velvet number. Great look for winter! Erin wore a Purple Polka Dot Tosca Dress, belted with tall black boots. Too add a little bit more, she wore it as a “jumper” with a Urban T-Shirt underneath. Linda kept it simple wearing a Black Tosca Dress, leggings and her beautiful quilted ankle boots. Sadly, in all the hustle & bustle Linda's picture wasn't taken in full. But here's a great group shot taken after a hard days work! The customers seemed to really like seeing our new pattern on all 3 of us. We made a statement! Truthfully, I wouldn't have put this outfit together myself. I tend to shy away from a-line tops. But the way the Alex Top & the eShrug work together, it's really quite slimming. The Hudson Pants really pull the entire look together. Guess it pays off listening to Linda & Kathy. They really know their fashion! Linda looked great Friday in her signature color, citrus green. She put together an unexpected combination of the Whistles Shirt, eShrug & Hudson Pants. The outfit looks fabulous using simple colors & drapey fabric. So what's in store for tomorrow? Have we got a surprise for you. One hint, "How do you wear it?" Check back in tomorrow for more outfits. The perfect coat for this Northeast rainy weather, the Soho. I love the vibrant red with the black toggles. Great detail! Color blocking is so in fashion lately. And Marilynn always knows how to pull it off! I think someone found her new “signature” color. That teal blue is dynamite in the Liberty Shirt! We finally have a new dress pattern! And with all the Tosca Dress garments we keep seeing at the expo, it seems our customers were excited too! I love it in this Grey Wool Knit. So flattering! I think Karen likes the San Diego Jacket pattern (she was wearing 3 yesterday) Shown here as a vest in the most glorious crinkle fabric. I think we need to go fabric shopping together. 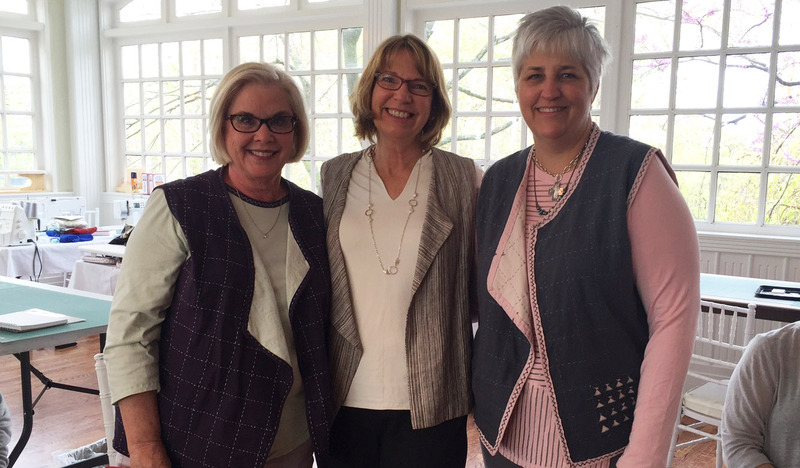 Linda, Kathy & I have fun figuring out what we’re going to wear for each day of the expo. It’s quite the process actually. So each day I will post the “outfit of the day”. Here’s what we came up with for Thursday. I know I felt really comfortable yet stylish. I think Linda & Kathy would agree, Thursday’s outfits were a success! What do you think? October has been the month for sewing! We've been traveling here, there and everywhere teaching great sewing techniques. We've even hosted a few events here at our studio in Topeka, KS. It's so nice to meet and get reacquainted with all of our customers. The intimate setting is perfect for learning, creating and sewing. 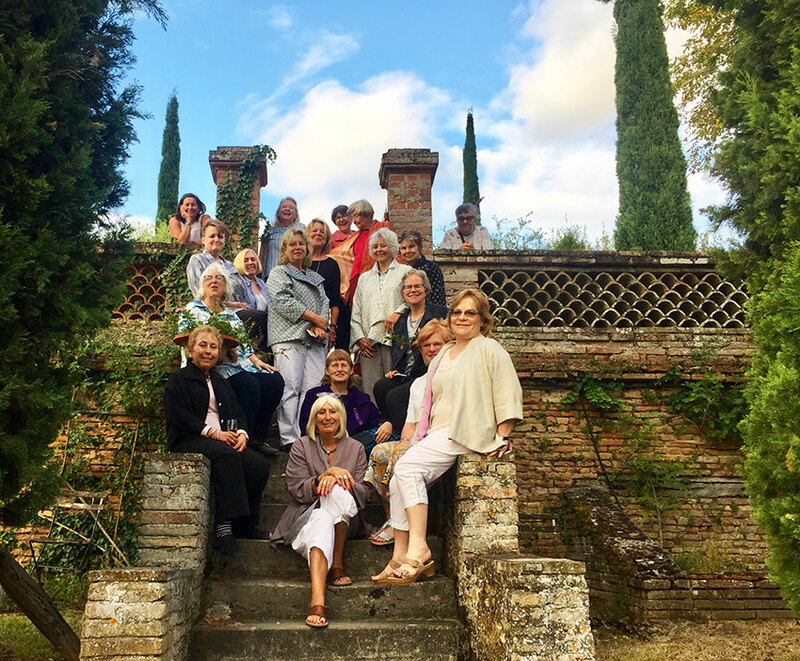 If you haven't had a chance to visit us for one of our sewing retreats, we would love to see you soon! See where Linda will be next: Getaways and On the Road. Linda just returned from the American Sewing Guild Conference in Atlanta, Georgia. What a great show! 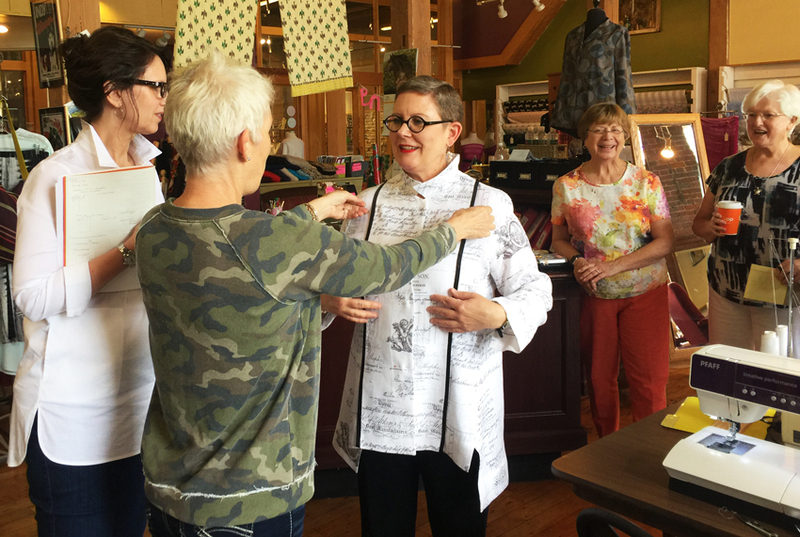 It's always so fun to see all of our customers wearing their Sewing Workshop garments. See some of the garments here. The Trio was quite popular! I just returned from a trip to Tulsa, OK where I set up a little trunk show to help celebrate the grand opening of Cloth Merchants.